To start the year off, I thought I'd take a quick look at two new labels each by the Danish brewer Mikkeller and the Crovallis, OR, brewer Block 15. 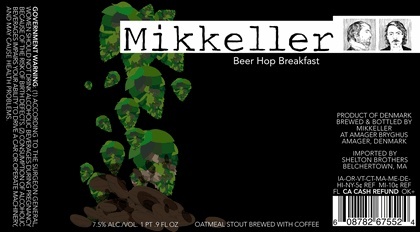 Mikkeller's typical style is somewhere between minimalist and primativist. I like this label more than most. The different colors in the hops lead to a patchwork quilt look for the 2-D images. The big stretch of black label on the right gives the piece a nice bit of asymmetry that adds to the movement of the falling hops. 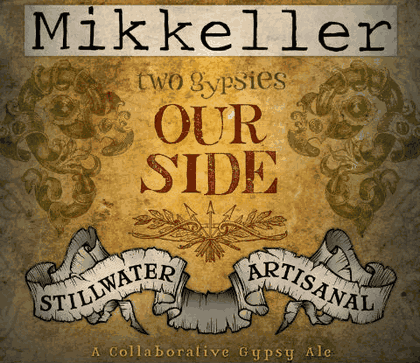 Collaboration labels are interesting when they combine multiple disparate styles. That's the case with the new beer by Mikkeller and Stillwater. It helps that in this case the two logos are both horizontal and can frame the image, which must be by Lee Verzosa. Still, he turns more to the subtle side of his work, which makes sense; one of his colorful and intricate works would be totally unfitting for Mikkeller. Block 15, in contrast, has a very rich, painterly style. 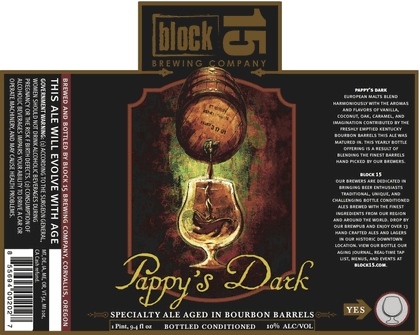 Their most recent label art is the Pappy's Dark. This is a nice use of hazy and complementary earthtones to make an image stand out while keeping a cohesive color palette. The bright green contrasts with the mud brown, and both stand out from the black. It's particularly cool that they use a slightly darker brown to represent the beer. 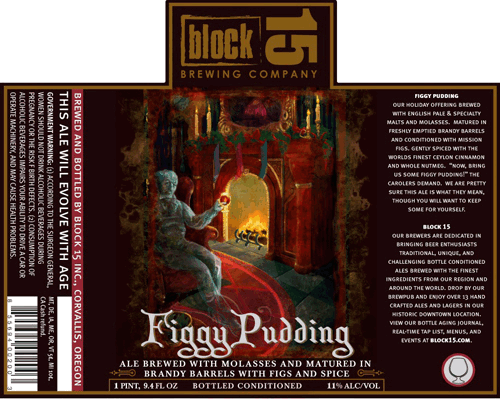 The last label we'll look at is that of the celebrated Figgy Pudding. This label adds a great deal more color, in celebration of the Christmas season it references. The ghostly Jacob Marley figure is warm, even though he's spectral, and the artist does a good job of making him transparent. The placement of his figure and position of his limbs direct the eye around the piece. The bright colors on the floor and around the fire make the label inviting and friendly, even if the perspective is a little off.